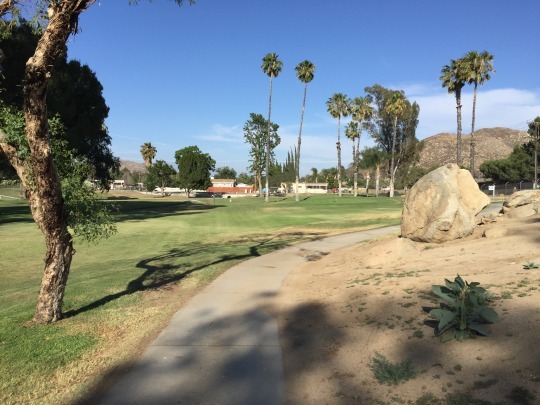 Recently, I’ve been trying to get more aggressive in order to find ways to play some of the more obscure private short courses in Southern California. I’ve tried many strategies and have been successful at a few places so far. Some of these courses are the toughest to access. 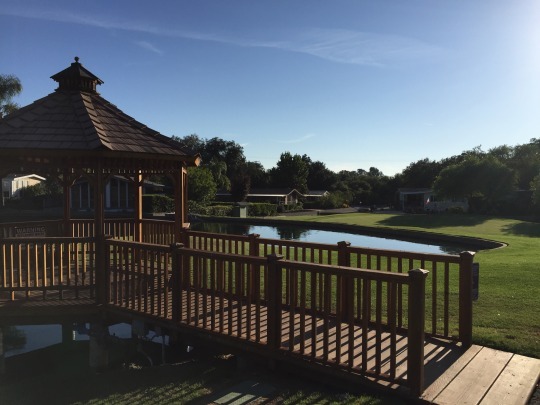 Most are parts of private residential communities (primarily 55+). They don’t allow much outside play and they don’t host “member for a day” outings or other charity tournaments. They are just there for the residents to play. 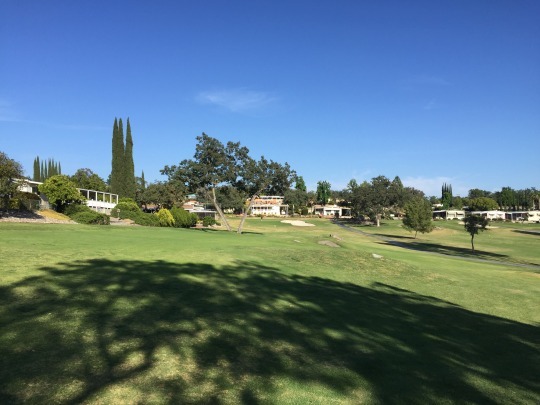 Guests are allowed to play the courses, but usually only when accompanied by a member. 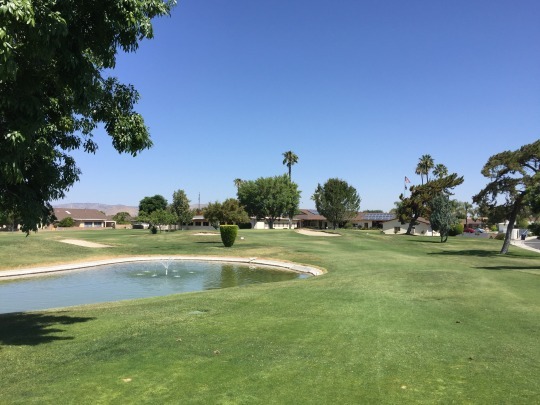 By whatever means, I was able to check five more courses off my list recently, so I will do a quick Short Course Blitz to review them all here. The dates are all spread out over the past month or so, so I won’t even bother listing those. And, the geography is very spread out, as well. I’m just lumping them all together because it’s easier. 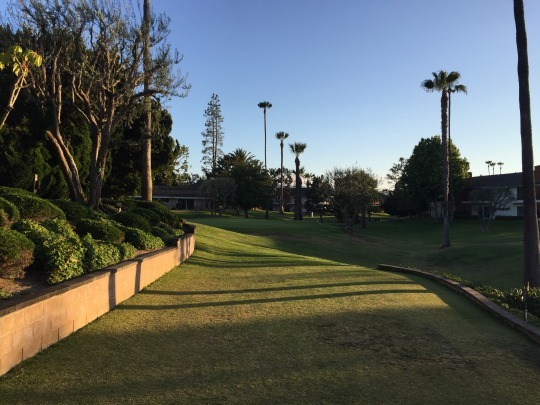 New Horizons is a small 55+ community in Torrance with a little 9-hole par-3 “pitch and putt” course. 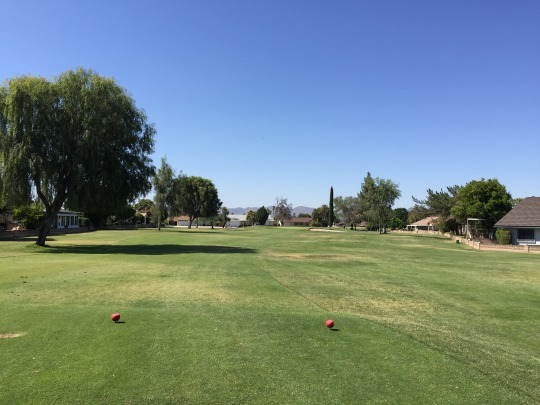 Holes range from 46 yards up to 83. It’s a pretty basic little course, but kind of fun for what it is. Maybe the most interesting thing is the island practice green. 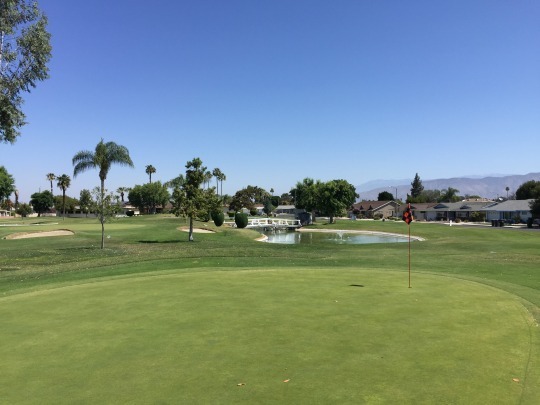 The water that surrounds it comes into play on a couple holes if you hit over the green. 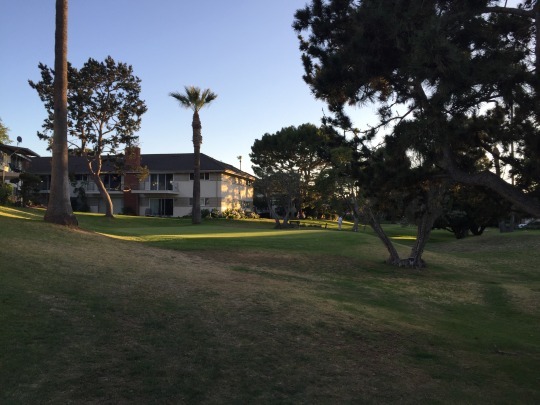 Otherwise, there’s not much trouble to get into on this course as long as you don’t spray it into the condos. 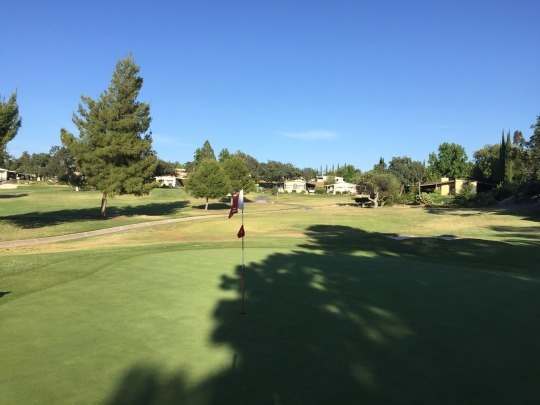 The greens were soft and slow, and the tee boxes are just mats. I’d say conditions were just okay here. I’m still not sure if I was supposed to be playing this course. However, the afternoon I was there the gates to the community were open. 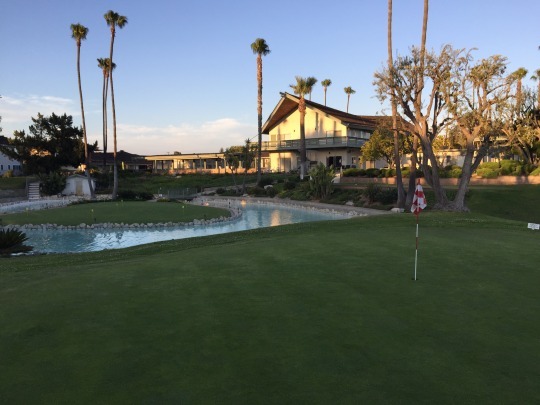 There is a little dropbox by the first tee that says guests pay $2 for nine holes or $4 for 18. So I dropped in my money and played. Nobody out there gave me any dirty looks, so it went pretty smoothly. 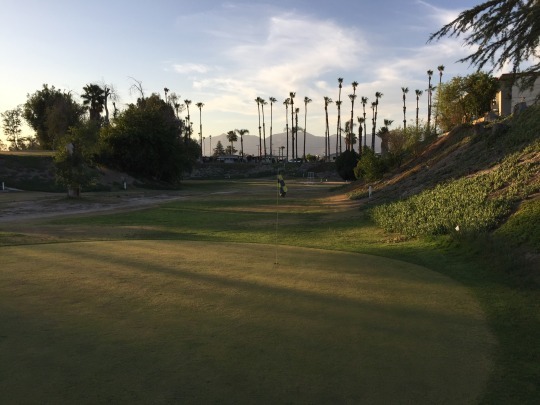 There was only one other player out on the course anyway, so I certainly wasn’t bothering anybody. 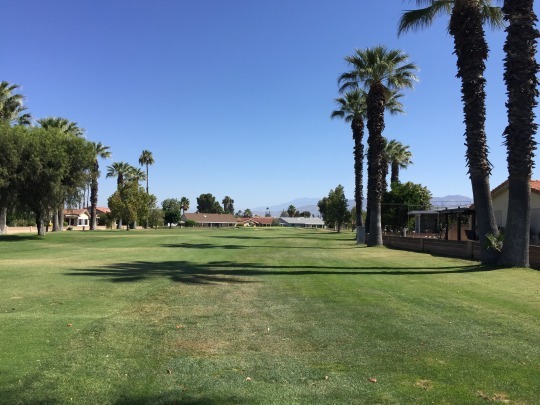 This is a 9-hole executive with a couple very short par-4s and a decent mix of par-3s (70-180 yards). 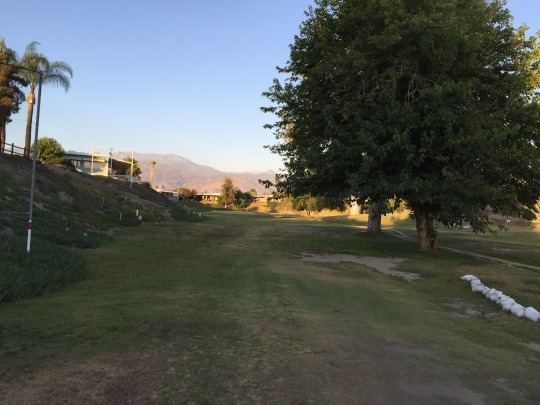 They do have separate tees for front and back nine play. 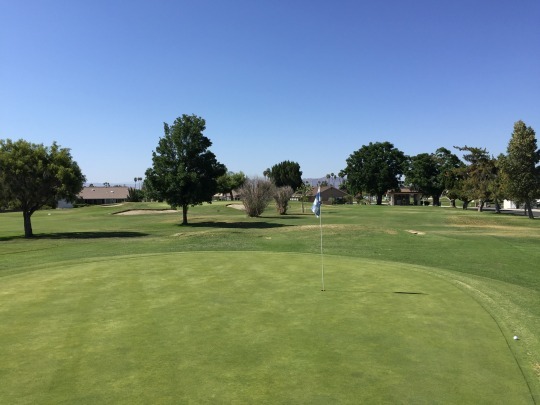 It has some hills and water hazards, and the conditions were pretty good overall. Probably the best course of the bunch in this blitz. 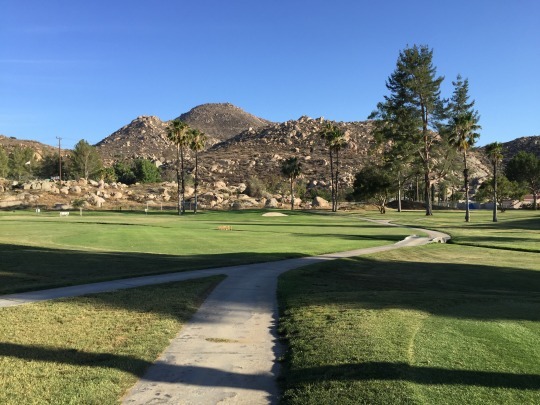 Okay, this one is technically in Homeland, but everyone out here basically considers it part of the Hemet short course rotation. 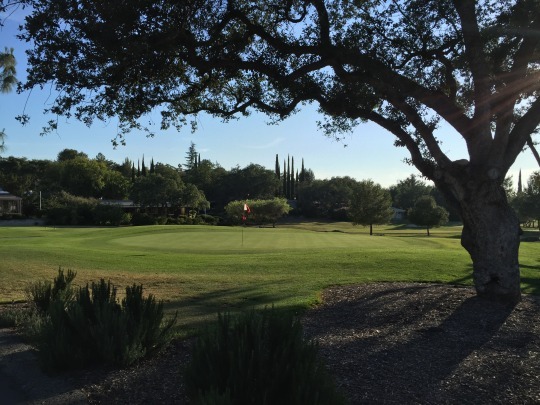 There is even an interclub league where all five courses play one another in tournaments. 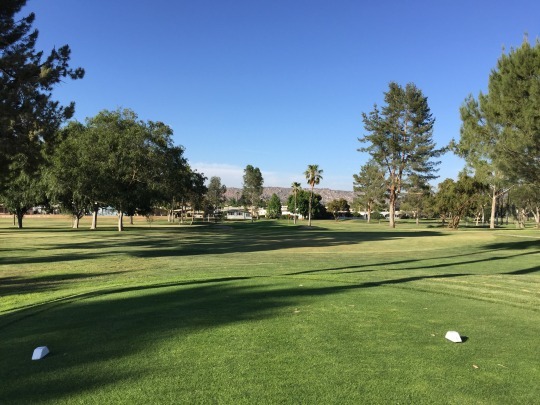 This is another decent 9-hole executive that is very similar to the public Echo Hills in Hemet. 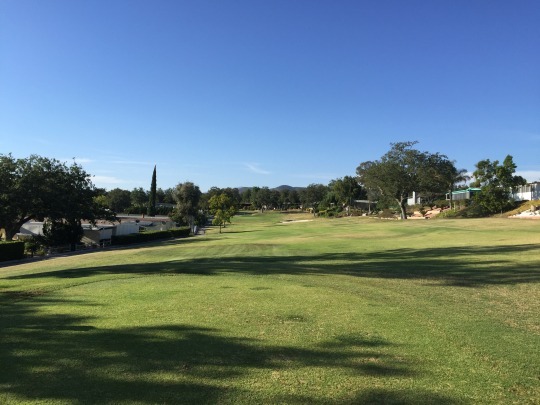 It has four short par-4s along with five par-3s. 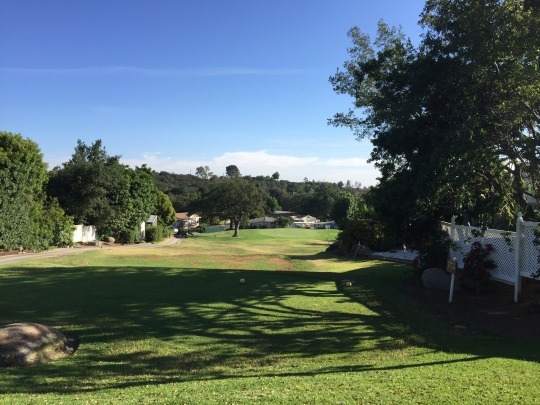 A couple of those par-4s are even considered par-5s for the ladies. Conditions here were also pretty good. 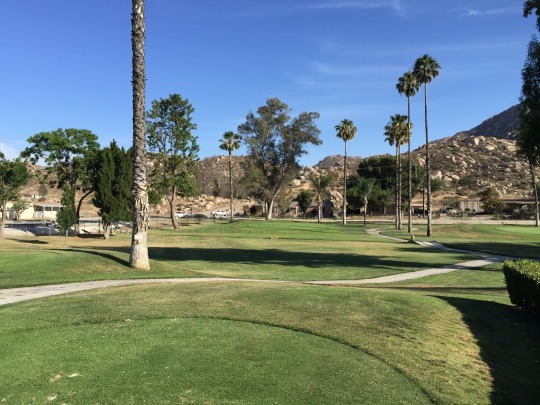 Though I haven’t played them all, I have been able to take a look at all five of these Hemet short courses. 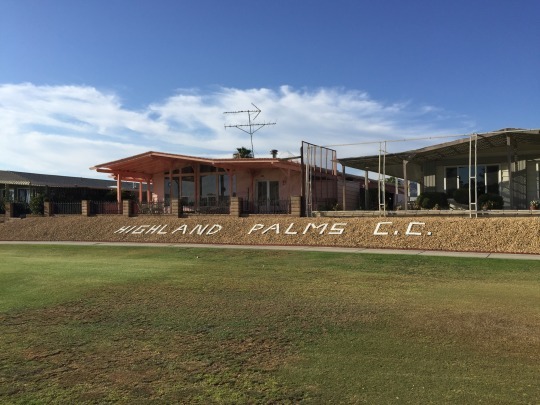 In my opinion, Highland Palms is the best of the bunch. It’s all relative, though. 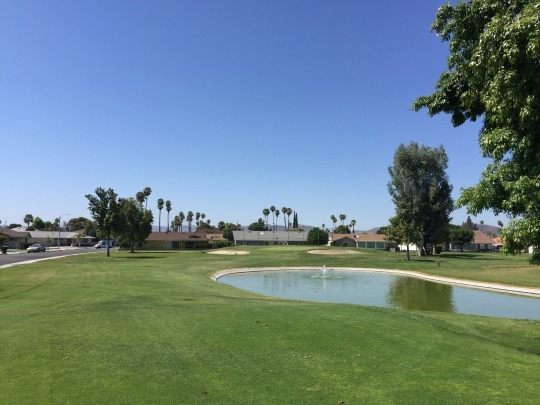 One nice thing about both Highland Palms and Arroyo Fairways are that the golf courses are somewhat detached from the community, so you aren’t playing right in between all the houses. 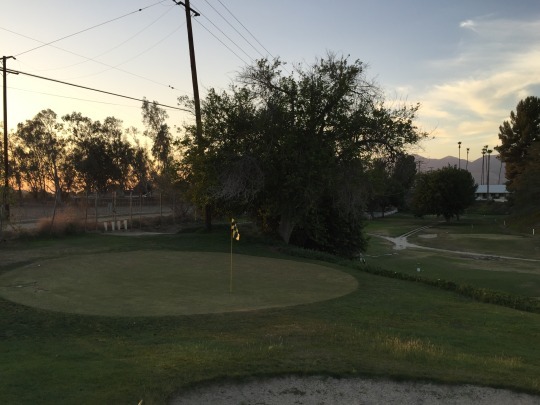 Arroyo Fairways is a 9-hole par-3 course set down in a little canyon behind the community. 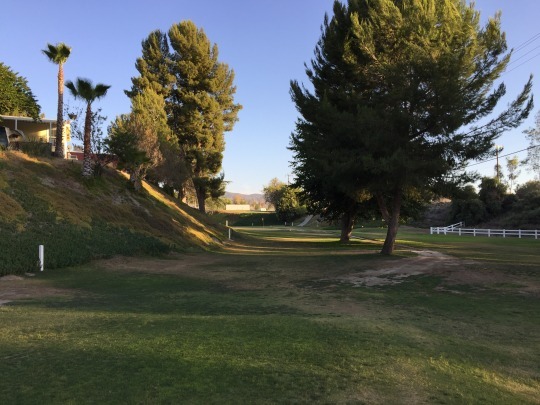 It does have alternate tees for front and back nine play, with holes ranging from 60 yards up to 170. 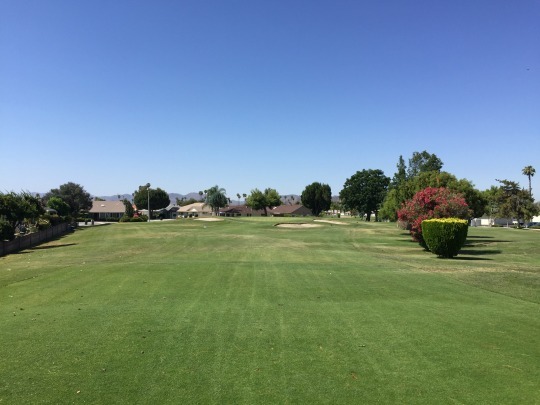 Technically, it’s an 11-hole course as there are actually different tees and greens for what would be holes 16 and 17 compared to what are holes 7 and 8. Condition-wise, this was the weakest of the bunch. It was pretty dry, dead and ugly throughout the course. One of the strategies I used was to leave out notes on bulletin boards by the first tees of these clubs. 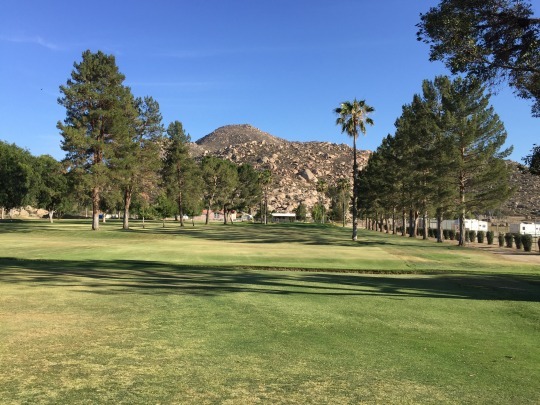 I still have some of those notes out at the remaining two Hemet courses (Hemet West and Colonial CC), but the one I left at Arroyo Fairways actually generated a call from a very nice member who invited me out and treated me to 18 holes. The course is actually just nine holes, but we looped around twice and apparently he usually plays at least 36 holes a day. 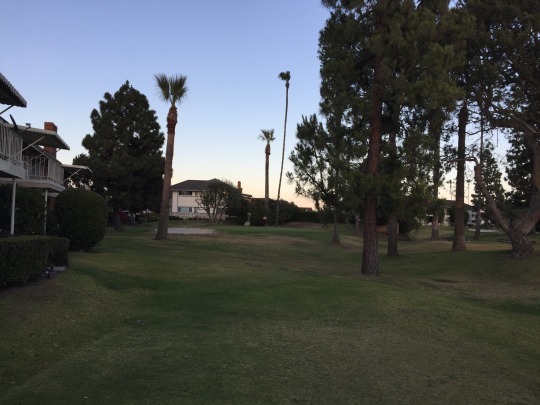 I’d rank Panorama Village right behind Highland Palms and the only difference in rating might be the par-4s included on Highland. Otherwise, the conditions at Panorama Village were by far the best of anything played in this list and it is a solid little par-3 course. 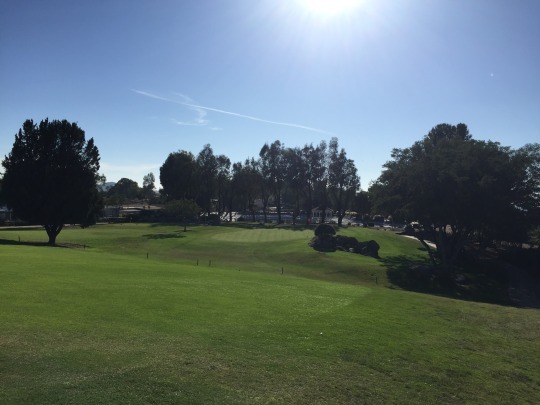 Holes here range from 70 yards up to 142. 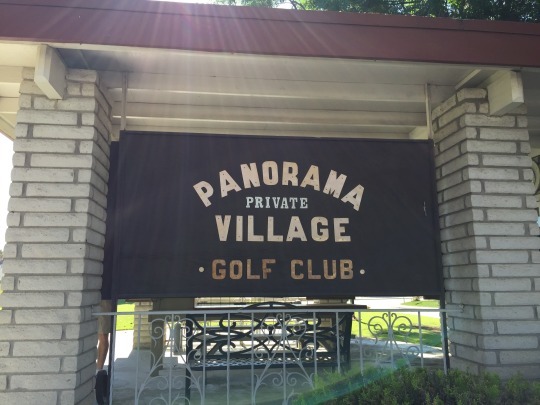 Panorama Village winds its way through the community and finishes with a fun stretch of really short but tricky holes around a big water hazard.